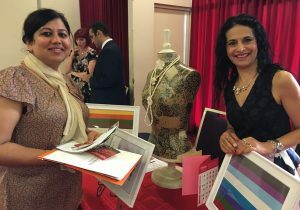 The inaugural micro business expo last October was a big hit with local business owners. It will be on again on November 17. If you have a small business and are looking for ways to gain greater exposure for your products or services, the Campbelltown Micro Business Expo is for you. The expo, which was very successful when held for the first time last year by Campbelltown Council, is an effective way to showcase your business. The expo, to be held on Saturday November 17, aims to provide an opportunity for people in and outside the area to find out more about Macarthur’s growing micro business community. Mayor of Campbelltown, Cr George Brticevic said the expo was perfect for anyone with a micro business to get involved as an exhibitor to showcase their business to the wider community and network with potential business partners. “Council is committed to encouraging and supporting our local business community through events such as the Micro Business Expo,” Cr Brticevic said. “Our region is on the cusp of a huge leap in growth, with our population expected to reach more than 275,000 in the next 20 years. The Campbelltown Micro Business Expo will be held from 10am to 2pm at Campbelltown Arts Centre and is free to both exhibitors and attendees. Cr Margaret Chivers, right, presented certificates to participants in Women in Business Leadership Development Program. In other business news, in partnership with MacPac HR, Campbelltown Council has completed the delivery of the Women in Business Leadership Development Program to participating women from various backgrounds and careers across the Campbelltown LGA. The program of six workshops offered through August and September focused on empowering women in work and in life through various personal and professional development components. Topics across the programs included emotional intelligence, conflict resolution, developing and empowering, your personal brand, communicating and influencing, and women in the workplace. It’s likely the program will be offered again next year.